Water Damage Naperville FREE Inspection available 24/7! 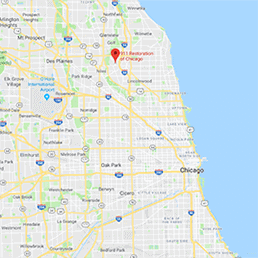 Water damage from rain and plumbing is something no homeowner should have to deal with and our 911 Restoration Chicago company offers same day service to help preserve the houses that make up our special community. Our water damage Naperville crew has over 35 years of experience in water extractions and can repair your home after any disaster. Naperville was rated the best city to live in for an early retirement by Kiplinger, as well as the second best place to live in the United States by Money Magazine. While this suburb of Chicago has a stellar reputation, bad things like water damage can still happen. When storms and floods create stressful situations our water damage Naperville team is ready to quickly and efficiently return houses to their proper condition. When you suffer from a toilet overflow or ruptured hoses, call us for the best water damage restoration services because we always put the customer first and so you should call us for repairs when your basement floods. Sewage back flow valve extractions / repairs. Our water damage Naperville pros do mold decontamination. Faulty water heater repair / replacement. Our water damage Naperville pros know that a sewage back flow valve prevents most black water disasters, but a broken water line can still occur due to cold weather, old age, or accidental damage.Rain causes leaks in your basement and crawlspace if your downspouts are not positioned correctly. No matter what your flooding issue is, our water damage Naperville team is available 24/7 with a free inspection and same day service. So call today to learn more about 911 Restoration Naperville and how we can help you with a toilet overflow, damage from storms, or how you can remove water from your house! How can I Remove Water from my House? To remove water from your house, request flood clean up from a professional water damage Naperville company like ours at 911 Restoration Chicago, because floods have deadly side-effects. Sump pumps are a vital tool in pumping water out of a crawl space before professionals can arrive. You can also attempt to mop the area and dry it with towels. In the end, a specialist company like 911 Restoration Chicago will be needed to ensure all moisture is absorbed with the latest drying technology. Between bloated support beams and a fungus infestation, the best route to take in water removal is to hire our water damage Naperville experts. It will be cheaper in the long run because you avoid the potential health issues. Call 911 Restoration Chicago when you need quality disaster restoration services, the longer you wait, the more expensive water damage becomes. Water damage can cause an extensive amount of destruction to valuables and can be very expensive, so our water damage Naperville team offers you an affordable price by working with all insurance companies. We value professionalism and provide services beyond basic water extractions in which pumping water out of impacted buildings is just the beginning. 911 Restoration Naperville provides full clean up services and we use the latest drying technology to ensure no moisture is left in your carpets or drywall. We are licensed, insured, and bonded to perform any service needed to return your home to new condition. We always put the customer first and therefore we respond within 45 minutes of every call. We even offer an affordable price to fit any budget. Contact us today for a free inspection!